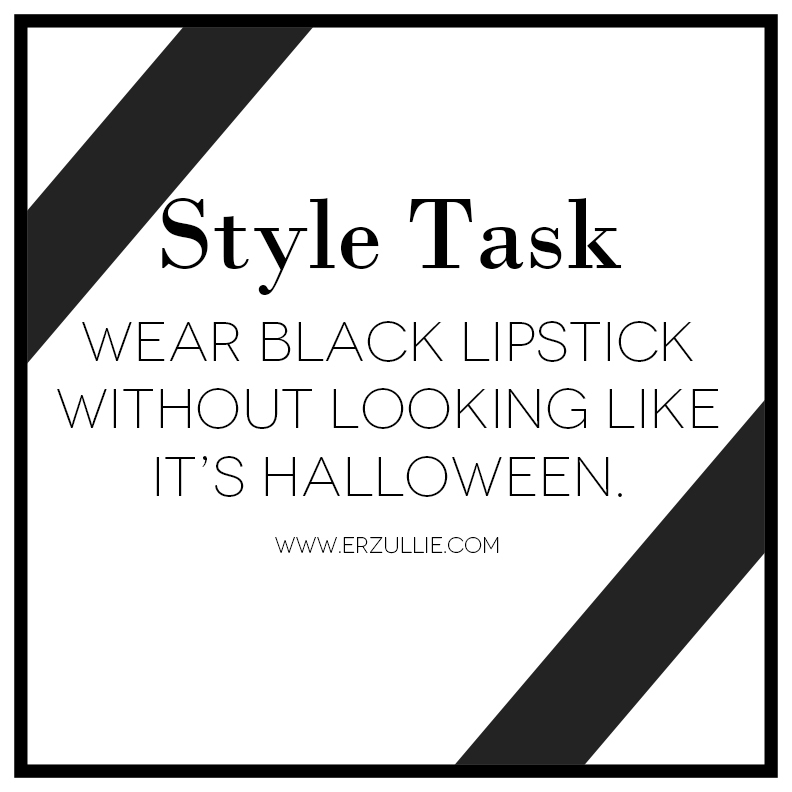 Break your style monotony with this task of the week. Try some black lipstick on. Without looking like it's halloween. Just make sure that everything else is light to downplay the strength of the hue.